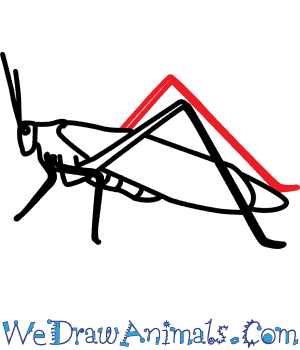 In this quick tutorial you'll learn how to draw a Green Grasshopper in 7 easy steps - great for kids and novice artists. 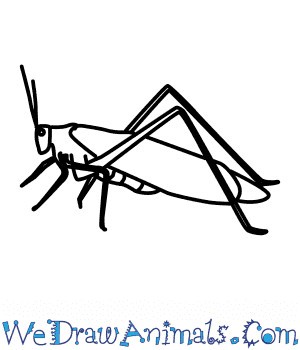 At the bottom you can read some interesting facts about the Green Grasshopper. 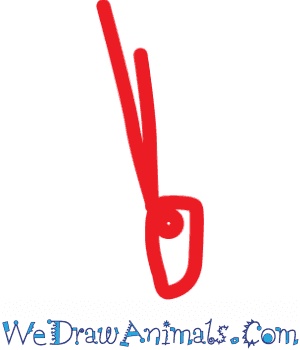 Step 1: Draw a tiny head with two long antennae. Step 2: Add two thin legs sticking out of the bottom of the head. 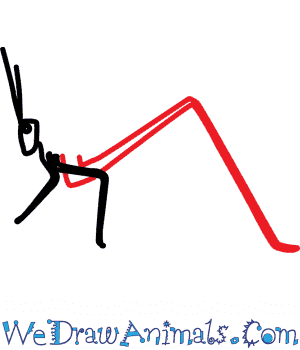 Step 3: Add a long, bent hind leg that looks like an upside-down "V". 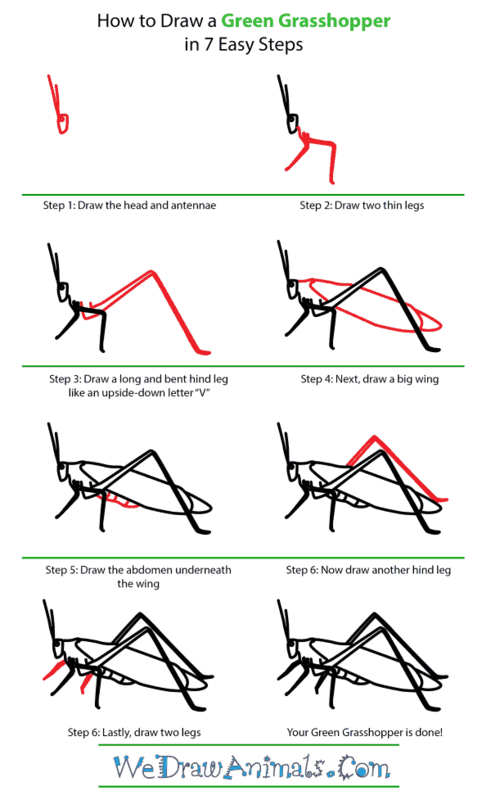 Step 4: Now draw a large wing that extends down the length of the entire animal. 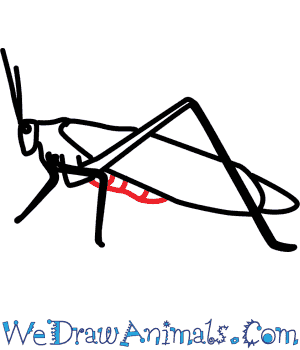 Step 5: Draw a small, segmented abdomen on the underside. 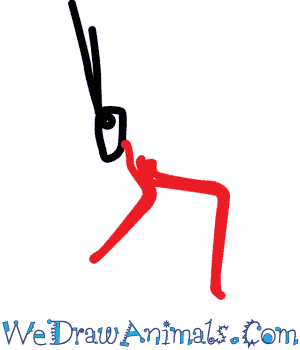 Step 6: Add a second hind leg. 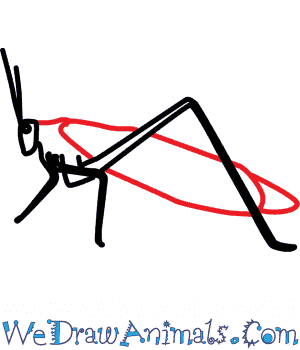 Step 7: Draw two shorter legs in the front, and your grasshopper is complete. 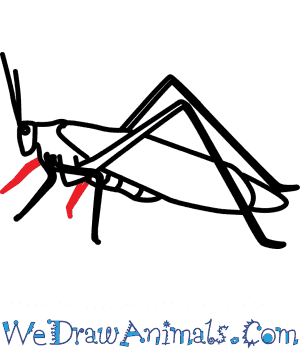 Grasshoppers can survive in several different habitats ranging from tropical rainforests, to ponds, and from meadows to the desert. Their body coloring provides cover and defense in their habitat. Their eardrum is on its abdomen and it can detect rhythms but not sound. They can travel up to two hundred times longer than their body in only one jump. Lesson Plan Idea – Measure the height of all children and have a “Farthest Jump” contest. Using their heights, find out which student jumped the farthest to declare a winner. Did anyone jump their whole body height?